St Andrew’s Orthodox Cathedral has an interesting past as its original purpose as an Anglican church. Although the primary structure of the church remains the same, its interior has undergone significant changes inside to reflect the Greek Orthodox style. The walls are adorned with magnificent gold iconography created in the 1970s by a renowned Greek artist who was an expert at painting the images of saints and martyrs that are so recognisable in a Greek Orthodox church. 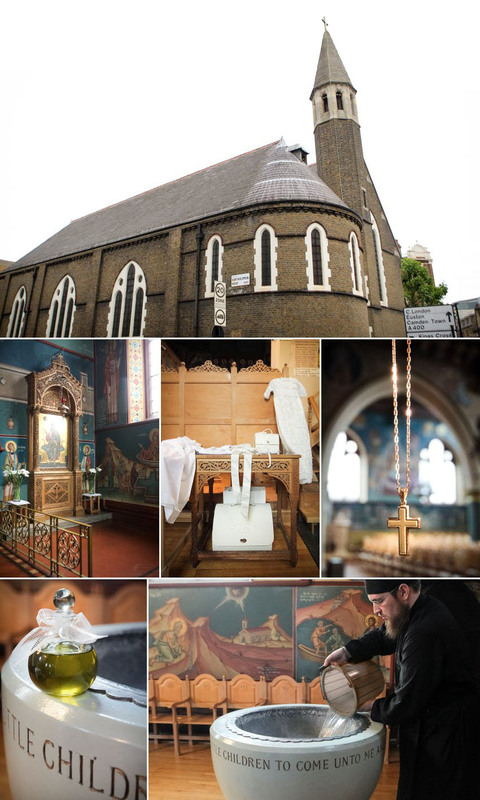 When we provide Greek Orthodox christening photography, we know that there are specific aspects of the ceremony that we need to ensure are captured, and we plan carefully for those moments. The tricky part of christening videography and photography is anticipating those unexpected moments of magic. Our experience tells us that they will be there, but we do not know when or where, so we are always alert for the opportunity to take the image that encapsulates the feeling of the day. We got to the church early to prepare for the arrival of the family. A good christening photographer has to be everywhere without getting in the way or even being memorable! The average person is far more relaxed when they do not feel under the spotlight and it is during these times that we are able to get those candid shots that show the personalities of individuals and the strength of family bonds. Troy was wonderfully placid throughout the service. 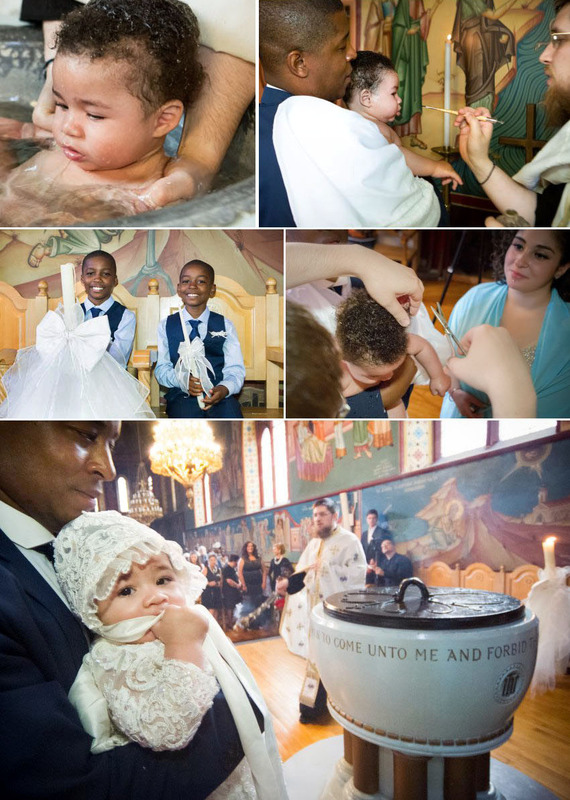 Unlike Catholic baptisms, where water is merely dribbled over the baby’s head and they stay fully clothed, a Greek Orthodox baptism involves full immersion in the font and a change of outfit for the guest of honour. Troy took to his role like a duck to water, something for which I am sure his godparents were very grateful. Given the change of outfit, we always try to get photos of the family before and after the service. Before, when the baby is often more relaxed, and after when they are dressed in their fancy christening outfit their parents have chosen carefully. After his baptism, Troy and his family adjourned to the Royal Chase Hotel in Enfield for a celebratory meal with a large group of family and friends. Troy’s parents had arranged a baptism almost on the scale of a wedding, complete with speeches and a fantastic five-tier cake that was the centrepiece of the meal. It was a beautiful day, and we were happy to have been chosen to provide the christening photography and videography so the family can look back and enjoy the day throughout Troy’s life. Thank you for letting us be part of your family’s special occasion.